Uber is making its small contribution towards a greener earth by introducing a fleet of electric cars in the UK. The cab aggregator is launching the new scheme in partnership with Nissan and China’s BYD where drivers can lease fully-electric cars that include names like BYD E6s and Nissan Leafs. “The cars through this partnership are for rent, not for purchase, and will be at rates lower than the cheapest rentals in the market for other private hire vehicles. Obviously running costs are quite a bit lower too – although how much lower obviously depends on what car they are switching from,” an Uber spokesperson told Techcrunch. Uber expects to have around 50 vehicles charged and running in London in the coming months. And if the project is successful, the company will then be expanding the service to another UK city. Uber’s initiative is commendable in the face of increasing pollution around the world. 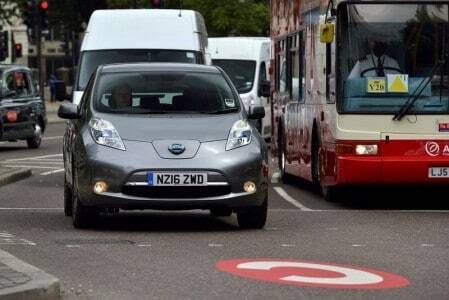 The Leaf in Nissan Leaf stands for leading environmentally-friendly affordable family car. It’s a 5-door hatchback that was introduced in Japan and the United States in December 2010. The car was later also introduced to various European countries and Canada in 2011. The car has a range of 172 km (107 miles) on a single charge and can go from 0 to 80 percent in 30 minutes. The BYD E6s is also an all-electric MPV manufactured by BYD Auto and field tested in China in 2010. The car has a range of 300 km(186 miles), according to the car maker. It also has a fast-charging battery that goes from 0 to 80 percent in 15 minutes and is being used in China, the US and soon, in the UK as well. Andrews trust would be helping Uber with monitoring the feasibility of running large numbers of electric vehicles on a private hire basis in the UK.